The Length of seatpost inserted dimension shows the length of seatpost that is inserted into the frame. The Length of seatpost exposed dimension shows the length of seatpost that is not inserted. The Length of seatpost exposed dimension is taken from the top of the seat tube to the seatpost clamp and is measured parallel to the seatpost. 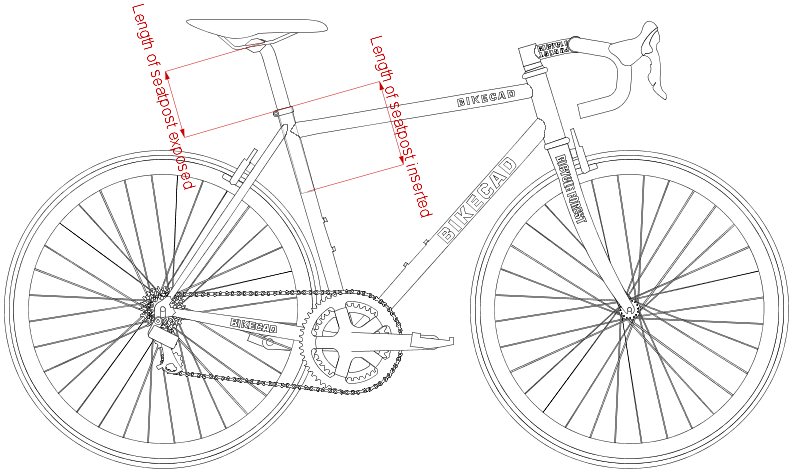 These dimensions can be found in the Dimensions dialog box under Components >> Seatpost.